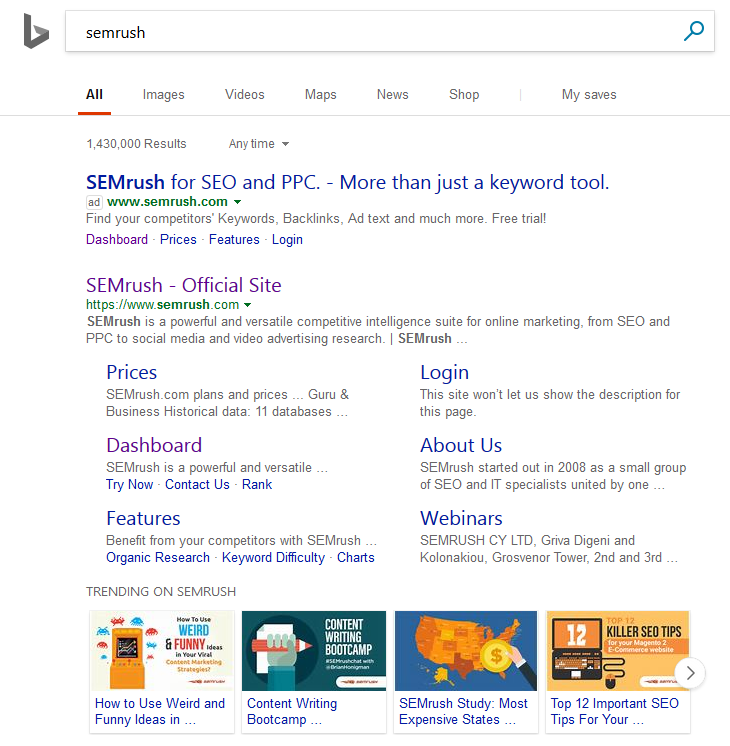 Bing has added a new search feature for some of the more popular sites in the Bing search results. 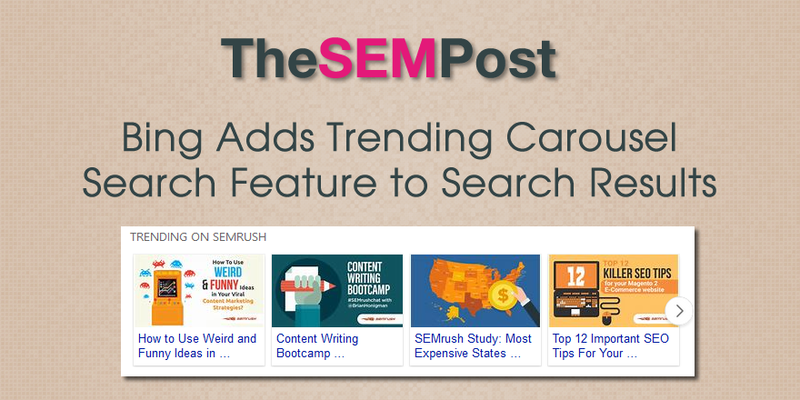 They have added a new carousel for “Trending on <Site Name>”. 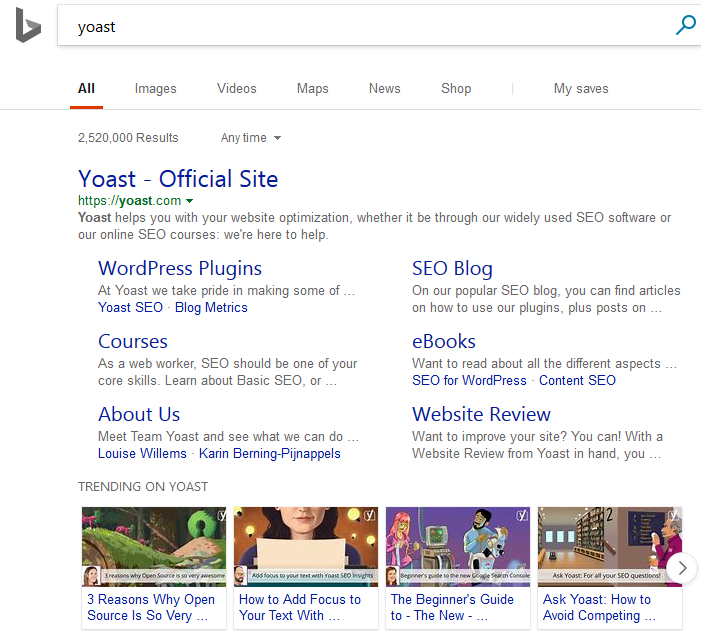 This seems to be a search feature that appears after the sitelinks, or in some cases, after the sitelinks and site search box. It is a regular carousel that can be clicked through. The carousels contain ten blog posts or stories. It isn’t clear how they are determining the trending pages to include, but it is not by date, as some more recently posted stories can appear later in the carousel. 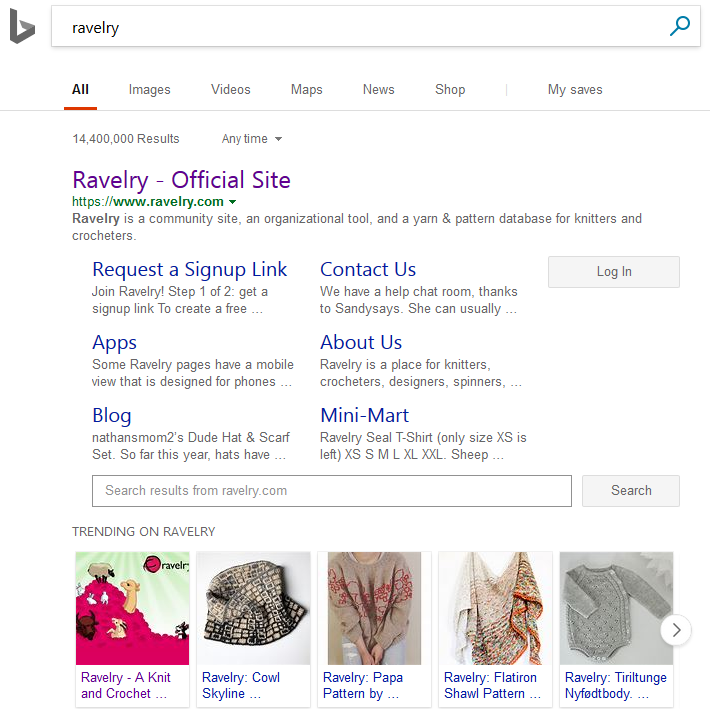 It is possible that Bing is pulling their own CTR data to determine popularity, or they could be using some other metric such as links or shares. But some of the included articles have been published for less than 24 hours. It isn’t just tech industry sites this new search feature can appear on. We have seen trending carousels on a wide variety of sites, such as Ravelry, a site for knitters. When you click one of the carousel results, you are taken directly to the page in question. So they aren’t capturing the page for a Bing page view, but showing it on the site itself. This seems to be showing for a wide variety of searches, so it could be a wide release at this time.